The PTI knights have been nominated to sit around the table — in the federation and beyond. Most of the ‘nominations’ were a surprise despite ‘Naya Pakistan’ having been in the making for quite some time now. This, of course, is not specific to the PTI as rarely do opposition parties encourage individual parliamentarians to hone their skills with regard to specific issues. The PTI was no different. 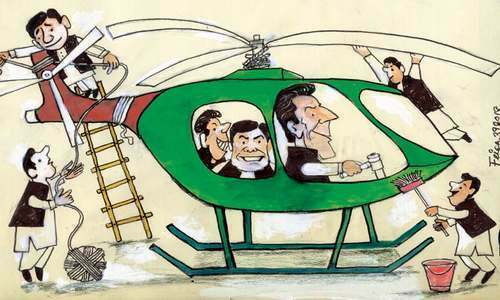 Except for Asad Umar’s destination, once the party came into power, everybody else could just have landed anywhere. 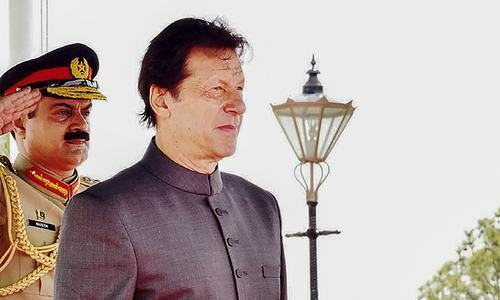 It is hard to avoid the conclusion that Imran Khan likes a centralised form of government. It appears that Khan shares Mian Nawaz Sharif’s distrust of politicians. But without a family to support him in the task of governance, he will not be able to run as tight a ship as Sharif did. The demands of an unwieldy coalition will also prevent too ‘austere’ a cabinet. No wonder then that six of the appointments went to allies such as Fehmida Mirza from the GDA and Khalid Maqbool Siddiqui from the MQM. 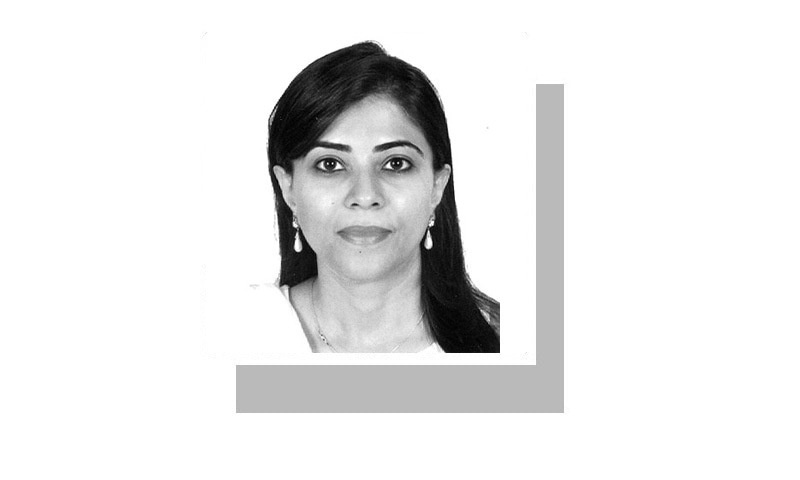 But perhaps this was an unusual occasion for the MQM when it managed to once again seat itself at the table, though without securing ports and shipping, a portfolio that has long been the pound of flesh it demands. Indeed, it seems as if most allies were given ministries but few with any real power. Mirza has been given the interprovincial coordination portfolio while the PML-Q’s Tariq Bashir Cheema has secured states and frontier region (at a time when Fata has been merged with KP). Zubaida Jalal has been given defence production. Perhaps, Farogh Naseem was the luckiest for having gotten the high-profile law ministry (Babar Awan must be heartbroken). Already the diffused power in Punjab is at display. Aleem Khan, who has been a generous and willing supporter, but was ‘NABzada’, has been made a senior minister and given local bodies. The PML-Q, too, has a key role in Punjab because it’s not just Pervez Elahi who has been given the speakership; a very recent induction from his party (Raja Basharat) has been made law minister in Punjab, as he was in 2002. Monday’s papers provided a small glimpse of the roles the chief minister and the senior minister will play. While the chief minister was quoted as having spoken about clearing encroachments (surely an administrative job for local authorities), Aleem Khan has been put in charge of ‘steering’ the 100-day agenda. In a meeting he chaired, he said that every two weeks a progress report would be submitted to the chief minister and prime minister and that this report would include health, education, water, labour and women empowerment. Enough said. Let’s see if this model of centralised and fragmented power works. The new government has to be given some time to put its theories into practice before we can pass judgement. But in the meantime, can the powerful prime minister at least check out the statements (past and present) of his new information minister in Punjab? This face of ‘Naya Pakistan’ is unpalatable to say the least, the halfhearted defence by the federal information minister notwithstanding. Fawad Chaudhry should have stuck to calculating helicopter fuel expenses rather than explaining what a good soul his provincial counterpart was. He will have to delegate some of his authoritarian powers and start trusting politicians, specially those who made it possible for him to be elected as the PM. Centralizing , concentrating and dictating terms to weak CMs in the long run would not be good, and not fair to the incumbents. What the writer is forgetting is the persona of the PM. The more Imran Khan performs the more powerful he will become automatically in our part of the world. But at the moment he needs such arrangements maybe for a couple of more months. A strong federal government is need of the hour as envisioned by Jinnah in a nation which is referred to as ungovernable in the latest book of Ishrat Hussain due to the structure of the society which remains tribal in nature and divided by a strong baradari system as well as along ethnic, sectarian and linguistic lines. Good article. Now the team is in place the nation has a right to know how the government plans to proceed on various fronts. So far PTI has just formed committees to devise plans to tackle various problems. The time for talk is over and it is time for action. Unless PTI delivers on its promises, and that too soon, it will be swept away in the next election. Selecting Usman Buzdar is perhaps the biggest mistake made by IK. Wrong person for the wrong time and wrong position! Agree with you with regards to Punjab info minister Chohan. He should be stripped of his ministry, he doesnt deserve it. Plenty of more competent people in PTI for that portfolio. This makes a lot of sense. It seems that there is method to Khan sahab's madness. Due to his general distrust of politicians, he has either kept the key portfolios for himself or given them to experts like Mr Asad Umar and Mr Faroogh Nasim. Perhaps it is better to wait for a few months before coming to any conclusions. As long as things are done properly and we see the results, it does not matter how he runs his government. What we hope is that rule of law prevails. everything will fall in place in due time. I think the real strategy is to keep the media involved in conjectures and petty issues so that they do not interfere in the real work. The poor sardar who knows the tricks of the trade to keep himself always in the bandwagon of power and fails to provide basic necessities of life to his own area including electricity deserves to be elected and selected for ruling not only his tribe but the province as well so that he could rule according to the orders given to him without any problems. Ali Zaidi, a US trained IT expert who has founded several IT companies should have been made IT minister, not Khalid of MQM who is a medical doctor. A strong Cabinet and and strong CM in Punjab would have helped IK more. IK has already created a larger then life image of himself, with his supporter and now he needs to concentrate on developing his successor and what better post for that than CM of Punjab (No I am not from Punjab). But he needs the support form Punjab to implement his policies which bureaucracy may not like, and frankly nobody thinks Buzdar has stomach for that. .It was a good decision by PM to have chosen CM from Southern Punjab . It will help to minimize the sense of derivation among the people of southern Punjab. Informative and balanced ..... an interesting read. INSAAF (justice) starts with the appointment of CM Punjab..
@AW That experiment has already been tested through one unit. @Imran . 'Power corrupts and more power corrupts immensely' this is what political scientist say. I would prefer a strong centralized government to chief ministers controlling provincial police forces and justice at the bidding of land owning families. @Suleman True, but remember that a strong person would never like to have an equally strong person as his number two , or in a subordinate position,out of fear of competition. PTI will try to run the Punjab government in the same way as KPK government was run in last five years. Pervez Khattak was not fully independent in his actions but 'supervised' by JKT and IK himself. And PTI performed so well there. The same model of government will be tried in Punjab and hopefully, it will be successful. What Pakistan needs is good governance of any form and get the work done! Every form of government has loop holes! If the leadership is committed and honest who cares about the above said weak and strong CM! It’s a bonus that Pakistan has genuine three party democracy that is missed in many other countries! Very superficial analysis. IK may be good administrator and probably financially honest, but lacks the brain for this whole political arrangement. These are not his ideas solely. whatever his reason is, he has the right to choose! now let him work and time will prove if he was the right choice. i see a concerted effort to go after him because he belong to a small town and represent the underprivileged! all his detractors please have patience when he fails you all can rejoice! whats your hurry? believe in yourself! Exactly! A centralized govt. so he can steer his ministers the way he wants. Hence, criticism on the selection of cabinet ministers justified. Whatever the reason, it is a poor selection, at the most can be selfish or illogic reason. Merit means the person must have done/achieved something exceptional for himself or others. We do not know anything other than negatives for this person. We needed a person of great integrity and imagination to solve immense problems that our society faces. Geo Pakistan. @GHALIBJEEE . Why a strong cabinet? Why not a strong parliament ? And why not a successor from KP or Sindh? Furthermore its high time we thought of making institutions strong instead of making personalities strong. When are we going to do away wirh this cult culture. Sheer smear campaign. With an eye to rock PTI internally creating mistrust among members. Should have picked Shahbaz Sheriff. It would have been salutary, win goodwill and be uniting. A bad choice for Punjab CM. There were many other eligible persons for this position. 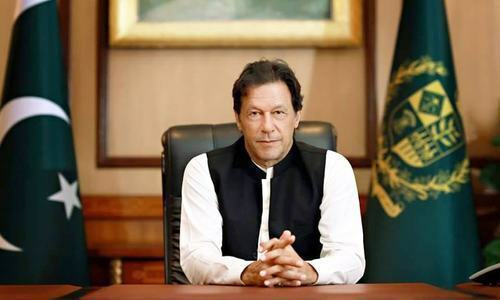 A request from a Canadian of Pakistani descent: Let Imran Khan rule and deliver some results within three months, as he promised. The newly found team headed by Imran is just to begin the work. He is strong in the sense that he won popular vote in all the provinces. Perhaps the most popular leader out of the present lot of dirty politicians. But we must not forget the fact that he has to face many obstacles. It reminds me of the mysterios Greek hero Hercules who fought many monsters including the nine headed poisonous Hydra. As soon as he chopped one head of Hydra, two new heads would spring up. But those who know, bear a testimony to the universal truth that odds and obstacles are the signs of adversity showing the path to opportunity, along with the team. So, let us not under rate him, or his team. Rather let us allow the room to make trials and errors being humans. IK has once again shown his trait of being gaffer by appointing a captain in Punjab Team who might have struggled to be in playing eleven on merit. No other than IK will be incharge in Punjab .IK has kept CM Punjab portfolio to himself. I would like to differ here. It's not the matter of Imran liking for a centralised government as did the Sharif. I think it is the culture of Pakistan politics with feudal families and clans and historic chain of events and betrayals makes one aprehensive. So it's not personal liking. It is the need of the day. Lack of family support shoukd not be a drag or a speed breaker. As tge family support in the Sharif clan was only for loot and plunder rather than complimenting managerial affairs. If managing corruption or taming unrest among the greedy party members by way of appeasing them with contracts and positions is progress then definately Imran lacks this talent. Managing the country like a coporate comany with 8 to 10 directors can deliver the required results. No need fir the family support as managers. Companies like Amazon, Google and Microsoft are being run efficently why can't we run Pakistan Inc like a corporate entity. Ensure transparency and punish the bad guys without political or social bias. @Imran Give him some time to settle down (say 100 days) after that you may have right to pick at him. for now please keep quite. @Anwar Kindly lend him some if you have it. Imran Khan continues to win by 6xers. This is just the start of naya Pakistan. The conclusion that Imran Khan likes a centralized government in my opinion is not valid. In theory and political terms the ministry’s managed by allied parties enjoy more independence than that by PTI members.The appointment of Law Minister and that of allied parties denies the conclusion drawn.Keeping the Interior portfolio by the PM himself ( though Sharyar Afridi is the Minister of State for Interior) has to do more with stopping of political interference in the handling of internal affairs rather than the desire to govern it centrally. Shahbaz Sharif strength of governing Punjab lied in the premier ship of his brother Nawaz Sharif and politically both were in hand and gloves.The political strength of PTI hinges on the Punjab governance. Political interference ,nepotism,cronyism and corruption to mention a few in the governance could only be checked with a strong support of the PM and a CM who has least personal interests.The choice of the CM is wise and rewarding for PTI. Interesting article espacially that the writer has smartly identified the centralised structure of the new government. Whilst the diagnosis are correct the article doesn't prescribe any worthwhile prescription. In my view centralised control is essential at least until all the previous dirt is cleansed and disinfected. @AW incorrect comments. Being from a tribal background, I can solemnly vouch that strong or weak central governments, which we have had many, since the birth of the nation miserably failed to break the stranglehold of these Sardars, Khan’s, waderas & chaudaries. The main reason of failure, is lack of education among our rural masses making 60% of our population. The feudal system taking its strength from these ignorant & illiterate people, who in absence of available alternative, toe the line what and how their head wants. The British during their colonial rule understanding the game, supported tribalism by offering bribes to few & brought stability to unruly areas through these very people. The system is so ingrained and strong that any development work requires protection money paid & jobs provided to nominees of these elites. See the result 2.5 million school going children in Baluchistan, & bulk of 22 million from other similar area,deprived. Education is a key to break status quo.